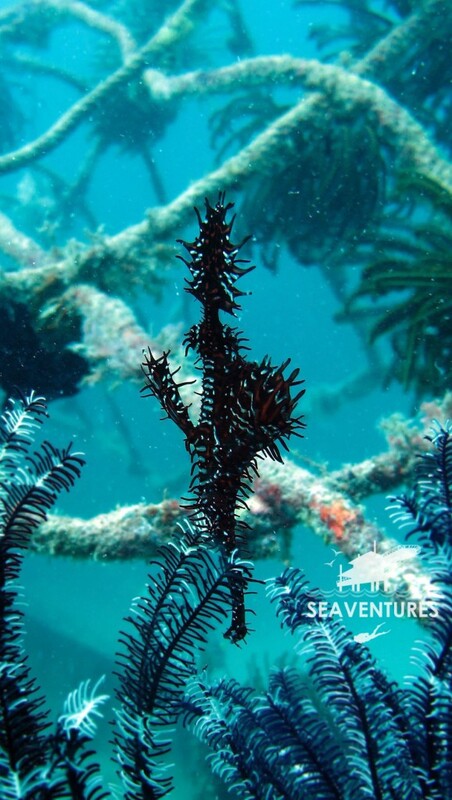 Every year, the team at Seaventures Dive Rig will come together for the annual Staff Party. An evening filled with good music and performances by the crew. There will also be a great spread of food with bbq on the side and games with the crews teaming up with guests on the Rig including lucky draws. But of course the party begin with the diving! Entrance view for the Rig’s Standard Twin-Sharing Room on deck 2. Myself and Melinda, the communication admin wasted no time since we will only be able to do 1 dive before we fly out the next day. Since we arrived to the Rig at around 1045hrs, this gives us a few hours of rest and catching up with the crews before the next dive boat departs at 1400hrs. Helmi the Rig’s Divemaster advised that the next boat dive will be to Mabul’s Paradise 2. We checked into our room on 2nd deck and saw some changes that was done on the Standard Twin-sharing room on the Seaventures Dive Rig. 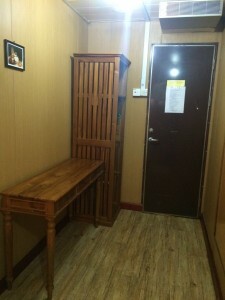 If you have stayed with us, you will see the a new wooden cabinet and a side table. After lunch, Mel and I met up with Helmi at the dive station for our afternoon dive briefing. We geared up and carried our fins, masks and me with the Canon G9 rented camera from the Rig to the boat. 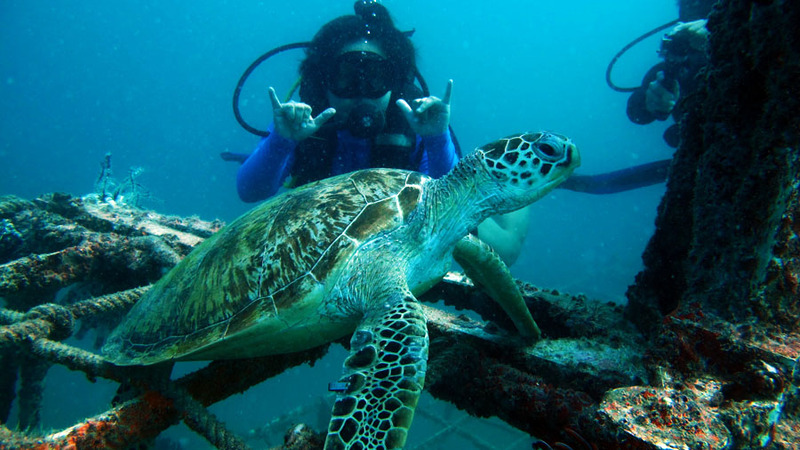 We will be sharing the boat with a group of divers guided by Divemaster Gary and Desmond. Paradise 2 is located just off shore Mabul Island. 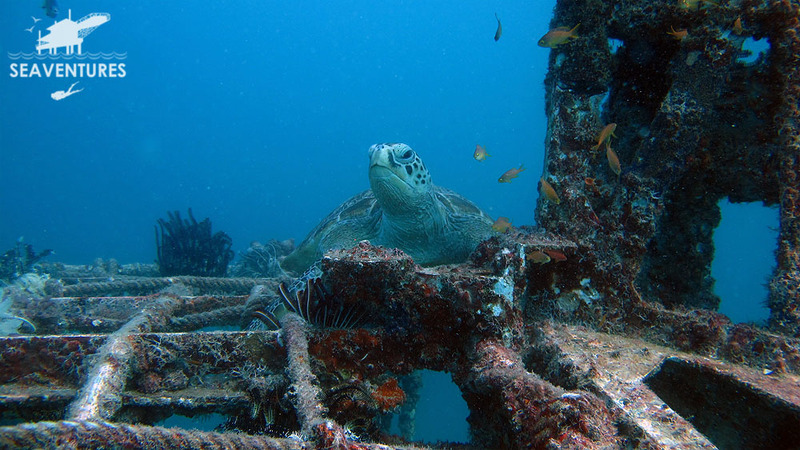 Minutes away from the Rig, the dive site is made up of artificial house reef where old dive boats were sunk, man-made structure such as pyramids and crates are now home to abundance of marine life. 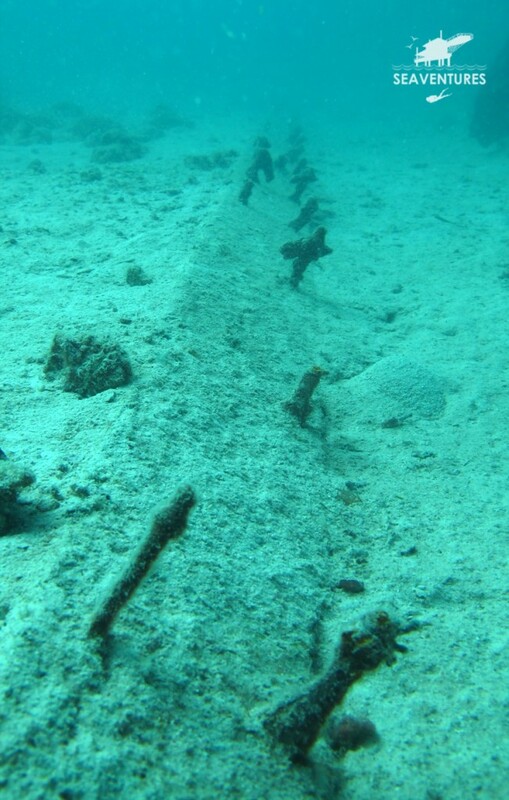 The artificial reef is a collaboration work of resorts within and nearby Mabul. We saw so much on a single dive on Mabul Paradise 2. Giant groupers near the ship wrecks, nudibranches, turtles, giant frogfish and ghost pipefish just to name a few. Having spent most times diving around Sipadan and under the Rig, Mabul’s Paradise II was a nice change for a short and easy dive. The viz was about 8 meters that afternoon with a bit of a current. We started our dive passing by what looks like a bed of planted corals. 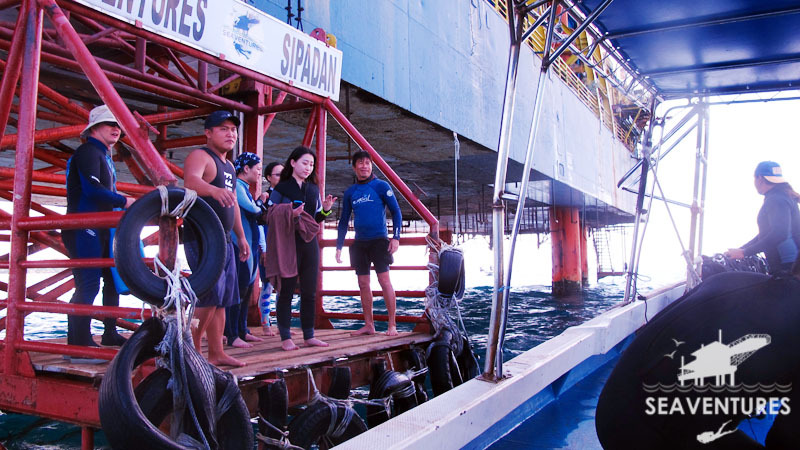 Its good to see that efforts are made to boost our marine ecosystem. 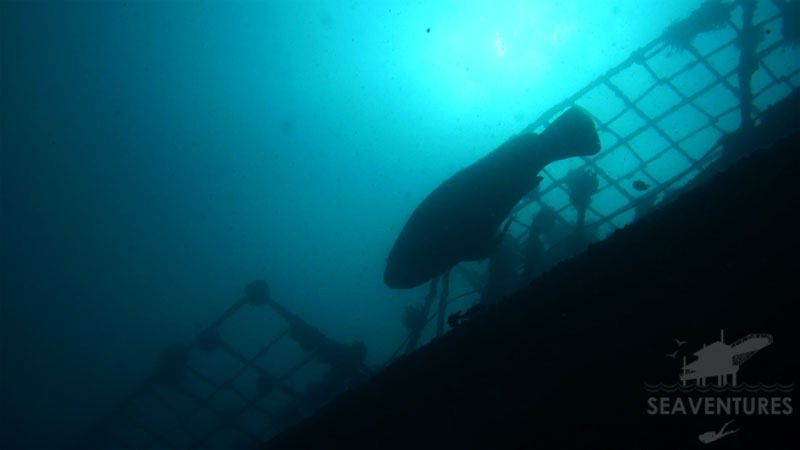 As we dive on, we begin to see the artificial reef structure and the marine life it has attracted. Most visibly, the three Giant groupers we encountered on the dive. Oblivious to the divers around, it swam passed us and I’d be lying to say it did not make me nervous. It was only when it got close to me, judging by the size that I realized there were more than just one grouper around. Along the dive, we spotted shrimps so tiny it took a few minutes to actually make out of what Helmi had pointed out. A tiny shrimp that I had tried my best to capture but unfortunately, it came out blurry. A great find by the Divemaster! There was also a Frogfish camouflaged by the structure. While I was trying my best position myself for a photo, and again one of the grouper swam right beneath me. Talk about a spike of adrenaline! We explored one of the ship with Helmi like we had discussed earlier. Just being inside a sunken ship or wreck is amazing. 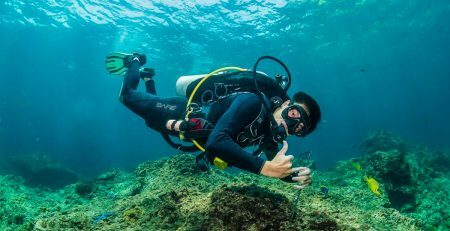 It can be intimidating if you are an untrained wreck diver so the PADI Wreck Diver Course is a perfect course for you to explore hidden marine life with the correct approach.